Planning to go out as a flower this year, or maybe you'd like to morph into some sort of amphibious animal? Trying to represent your favorite veggie this Halloween or are you hoping to look 'out of this world' with an awesome alien costume? 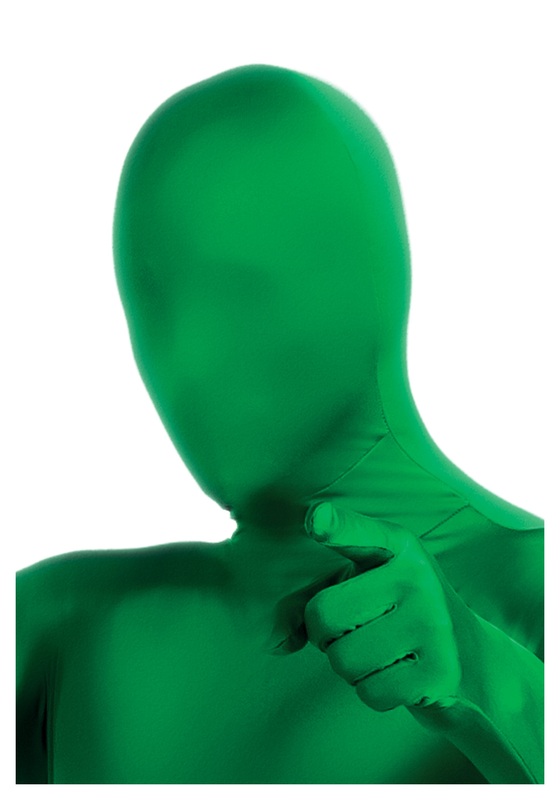 Well we think all of those costume ideas are awesome, but there's just one problem... your skin isn't green! Changing the pigment of your skin can prove to be a difficult and expensive procedure. Applying paint all over yourself and then having to wash it all off is still more work than anyone should have to do. Worry not, though! You can easily grab a skin-tight full body suit to solve that problem! Just make sure not to forget this Green 2nd Skin Mask to complete your transformation. Everyone will love you once you go green, you may not even need to worry about adding anything else to your outfit this Halloween once you throw on this Green Mask, you'll look like the life of the party!